The UM Foundation for the Memphis and Tennessee Conferences is pleased to announce income from the Nashville Area Order of St. Andrew Fund will be used to contribute toward the Excellence in Clergy Leadership Scholarship program (read below for more information). Andrew was known as “the bringer”. All he did was bring his brother, Peter, the little boy with the five loaves and fishes, and the Greeks to Jesus. He was just an ordinary person, but Jesus saw in him something that others did not see. He never wrote a book, was never elected to office, never became bishop, or never painted a picture. He just brought people to Jesus. The Nashville Area Order of St. Andrew Fund was established to honor ministers and laity who were “Andrews” for countless souls across the Memphis and Tennessee Annual Conferences. To find out how you can contribute toward the Nashville Area Order of St. Andrew Fund or nominate someone for the St. Andrew Award, please contact us. 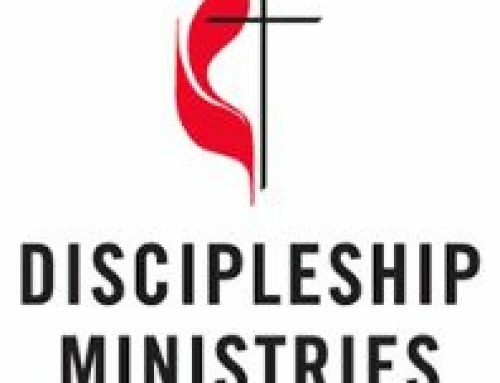 NASHVILLE, Tenn., August 1, 2017 – The Office of Loans and Scholarships at the General Board of Higher Education and Ministry (GBHEM), a center for leadership development across the denomination, today awarded more than $1.66 million to 206 recipients of the Excellence in Clergy Leadership Scholarship. The Excellence in Clergy Leadership Scholarship was created to help United Methodist clergy avoid excessive educational loan debt, minimize financial stress and build financial acumen. Each recipient is awarded amounts ranging from $2,500 to $12,500. The scholarship recipients represent 47 of the 57 United Methodist Annual Conferences. Funding for the scholarship comes from matching donors—GBHEM, the Lilly Endowment, the 13 United Methodist seminaries/schools of theology, and participating United Methodist Annual Conferences and Foundations. The donations included: $480,000 from GBHEM, $252,000 from the Lilly Endowment, $267,500 from Annual Conferences, $127,500 from United Methodist Foundations and $532,500 from the 13 United Methodist Seminaries. GBHEM, Wespath Benefits and Investments (formerly the General Board of Pension and Health Benefits) and the National Association of United Methodist Foundations partnered to apply for a $1 million grant from the Lilly Endowment’s National Initiative to address economic challenges facing pastoral leaders, which includes funding for the scholarship and other initiatives. 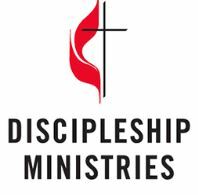 The scholarship is designed for full-time Master of Divinity students attending one of the 13 United Methodist seminaries/schools of theology. The recipients are also certified candidates for ministry (elder or deacon) or pursuing certified candidacy in The United Methodist Church. Excellence in Clergy Leadership is based on financial need, and the recipients must demonstrate how the scholarship will help them avoid additional student loans. An additional benefit of the scholarship program is the required financial wellness curriculum offered through EY Financial Planning Services (formerly Ernst & Young). Scholarship awards are contingent upon the completion of a financial wellness curriculum, valued at $2,500 to $3,500 to the student. The curriculum through EY includes assistance with cash flow, personal savings and debt management, retirement savings strategies, investment allocation decisions, understanding tax issues, and estate and insurance planning. Scholarship recipients will complete a financial wellness assessment, a comprehensive and customized financial plan, and a personalized guidance consultation with a licensed planner. All seminary students are encouraged to apply for the scholarship even if their annual conference is not participating because other donor funds may be available. Scholarship applications will be open between January 3 and March 1 of each year at GBHEM.org/scholarshipapplication. For more information on GBHEM and the Office of Loans and Scholarships, please visit GBHEM.org/loansandscholarships. About GBHEM: As the leadership development agency of The United Methodist Church, the General Board of Higher Education and Ministry’s mission is to lead and connect the educational and ministerial life of the church. Every elder, deacon and licensed local pastor benefits from our training and candidacy programs. Many young adults find help in clarifying their vocation and God’s call on their lives through our leadership and discernment programs. Follow us on Twitter and Facebook: @GBHEM. **Article courtesy of General Board of Higher Education and Ministry.